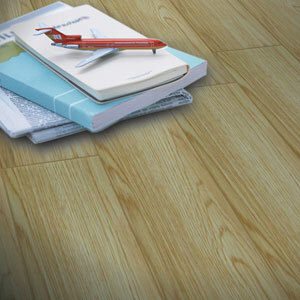 Out of vast choice of different materials for bathroom floors, vinyl is definitely one of the most popular options. This is thanks to its incredible versatility – vinyl flooring for bathroom use can take on the appearance of any number of more expensive bathroom flooring options, including wood, marble and ceramic tiles. They also have the advantage of being very easy to install, a DIY-savvy homeowner could install vinyl bathroom floors quickly and easily. 100% Waterproof – Its natural water-resistant properties mean that you don’t have to worry about potentially damaging water seepage with vinyl flooring. For bathroom use, this makes them a safe option. Easy to Maintain – Unlike other bathroom floors, vinyl doesn’t require difficult or delicate cleaning methods. Simply wipe over with hot water and disinfectant, and they’ll be fresh and clean once again. Non-Allergenic – If you or any members of your household suffer from asthma or allergies, vinyl bathroom floors are an excellent way to avoid coughs and sneezes. Not only are they naturally non-allergenic but they don’t harbour dust and other particles. This vinyl flooring for bathroom use is also ideal in kitchens, kids’ play areas and anywhere else that might need a sturdy, waterproof flooring. We supply a wide range of designs that replicate classic wood or tile bathroom floors. Vinyl tiles can also be manufactured with a textured effect, which you will find on many of the stone or rustic woven designs. Stone effect bathroom floors tiles - 2mm or 3mm thick with 0.3mm or 0.55mm wear layer. Woven effect bathroom floors tiles - 3mm or 3.2mm thick with 0.9mm or 1.1mm woven layer.